Vaughn Lakes Apartments in Montgomery, AL is a unique community that offers a carefree lifestyle with a splash of excitement that is central to everything that the city has to offer. These luxurious Montgomery apartments offer spacious floor plans with the latest amenities and a friendly staff ready to assist our residents. So if you are looking for apartments in Montgomery – Vaughn Lakes is the perfect place to call home. Vaughn Lakes offers a variety of apartment sizes with nine floor plan options. 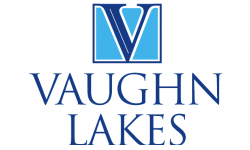 Whether you are looking for an apartment, loft or townhouse, you will find it here at Vaughn Lakes. Our floor plans range from one bedroom/one bath to three bedrooms with two and a half baths. Sizes range from an efficient 829 square feet to a generous 1,745 square feet – the size of some homes! Vaughn Lakes is the city’s best choice for apartments to rent in Montgomery, AL. Let us exceed your expectations with a wide array of amenities - from a children’s park to an on-site car care center to a fully-equipped fitness center. Add some splash to your life in Montgomery's premier luxury apartment home community and enjoy thoughtful amenities like garden rooms, two-story apartments and sun rooms. Plus, you'll enjoy tennis, resort-style pools, basketball courts, acres of sparkling lakes, and beautifully manicured landscaping. There are washer and dryer connections in all apartments, dishwashers and disposals for convenience and even elegant wood-burning fireplaces in some floorplans. Gourmet kitchens feature spacious cabinets, frost-free refrigerators, built-in microwaves and tile flooring. If you are ready to call Montgomery your new home, see why Vaughn Lakes Apartments is the best choice for you. Searching for apartment rentals in Montgomery, AL can be overwhelming. Just one visit to our beautiful apartment community and you will know you’ve found your new home.